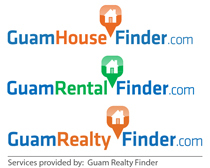 Located in the southern region of Guam, the beautiful village of Umatac is nestled along the coastline of Umatac Bay. This coastal village is bordered by Inarajan and Merizo. It is also the famous location where Ferdinan Magellan landed. Umatac is less than fifteen minutes away from the U.S. Naval Station in Santa Rita. If you are traveling to the U.S. Naval Hospital, it will take you approximately twenty minutes, and about thirty minutes to get to downtown Tamuning. The village has a simple two lane road running through the village and hardly ever has any traffic. Umatac is the definition of “island living.” This small quiet seaside community is relatively smaller than other communities on the island. The village is only consists of about 887 people. The topography of this village is made up of hills, valleys, and the coast line. Homes in this peaceful village are spread along the bay’s shoreline, providing spectacular views. You can also find a few amenities such as small stores and a small park. As you make your way through the village, you will notice many remnants of the Spanish Colonel Era that still remain intact and put on display. Umatac has the most historical background dating back to the 1500s when Magellan, a Spanish explorer, landed in the Umatac Bay. You will find a number of cannons that overlook the bay which Spanish soldiers would use to protect the Bay from pirates. There are a number of unfinished bridges left by the Spanish that still exist in the village. These can all still be viewed and explored. Every May, the village hosts a Discovery Day reenactment of Magellan’s landing. The day is filled with many entertainments for the whole family to enjoy. There is plenty to do in Umatac. The Umatac Bay is popular among surfers. The bay sits in between two hills, so the tropical breeze will keep you cool. Atop one of the hills bordering the bay is a lookout point called Fort Nuestra Senora de la Soledad. This old Spanish Fort has an amazing view of the ocean and parts of the island. There are also some cannons and remnants of the Fort left by the Spanish in the 1500s. Most times, a local farmer would bring his pet carabao, or water buffalo, to the lookout and offer rides to visitors. We recommend you to explore the bay. It is quite beautiful and really captures the island life. Umatac is a beautiful village. Here, you can’t help but embrace the island spirit. It is away from all the hustle and bustle of the rest of the island. This region offers some of the island’s most amazing views. Plus, lush green vegetation fills the land deep into the island’s interior. Umatac is a great place for anyone looking to experience the island life. Come and look into Umatac. See you soon!